Monash Partners Comprehensive Cancer Consortium 42 page A4. 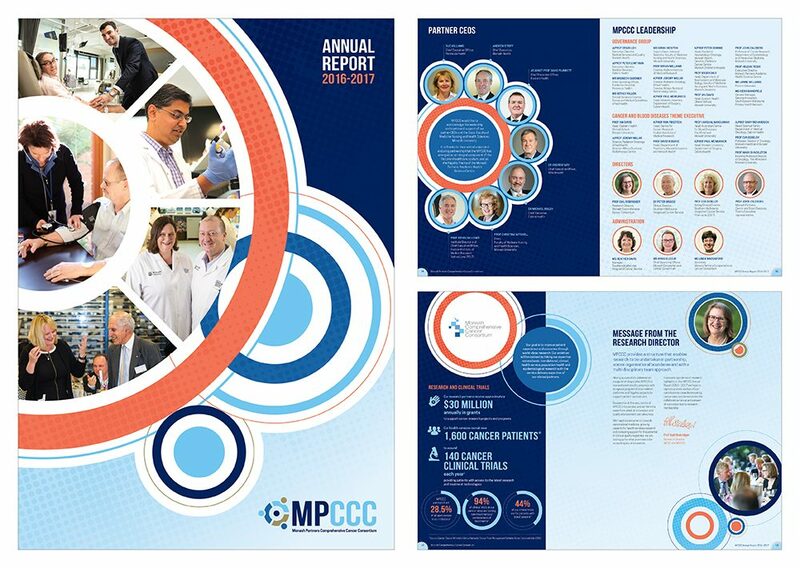 Monash Partners Comprehensive Cancer Consortium 44 page A4 Annual Report 2016-2017. 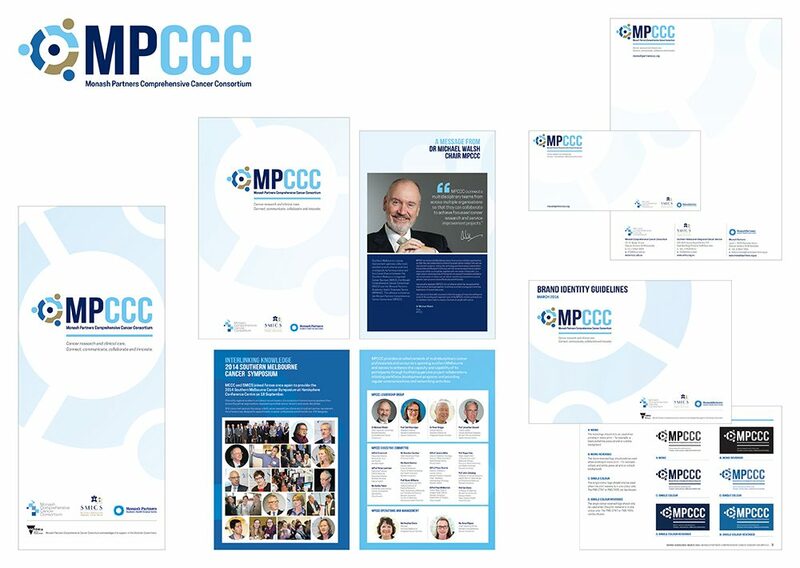 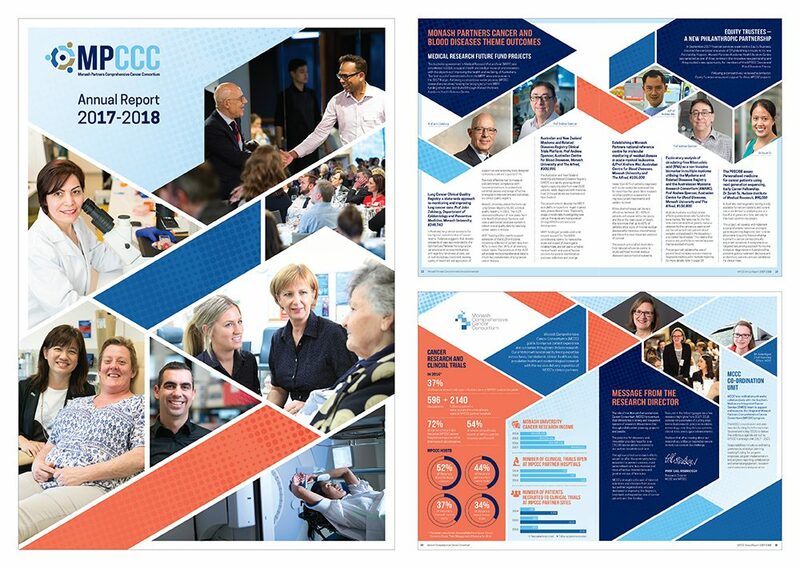 Monash Partners Comprehensive Cancer Consortium new visual identity, 6 page A4 presentation folder, a pull up banner, brand identity guidelines document and stationary items.